Yesterday evening, my waiter smiled his way out of his tips. Why? Yes, he was nice, polite, he had a wide grin on his mouth, I could almost see his wisdom teeth but when I looked at his eyes, my soul was frozen (it took me 12 hours 14 minutes to defrost it). He was giving me the typical fake smile. You can’t fool me, I thought to myself. In 1862 French physician Guillaume Duchenne discovered the secret smile by applying electric shocks to the faces of his subjects. He found that a fake smile is produced by only using the large muscle on each side of face, while a true smile is created by the muscles running through the eyes as well as the large muscle on each side of face. The effect is a visible wrinkling around the corners of the eyes that is outside voluntary control. A genuine smile is known as ‘ Duchenne Smile’ which is named after surprise, surprise, Guillaume Duchenne himself. 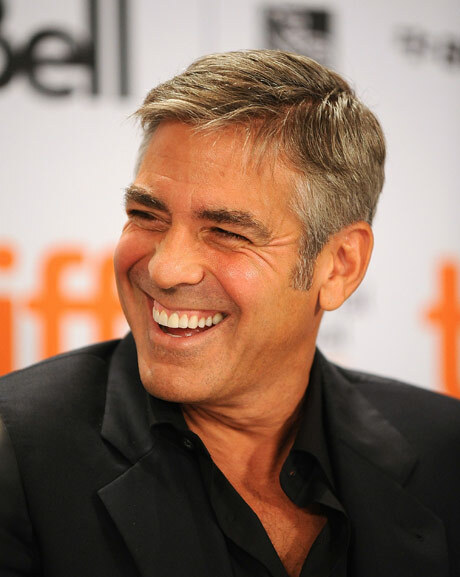 The picture below it’s George Clooney doing the Duchenne Smile not Guillaume Duchenne himself but let’s face it, George Clooney is so much hotter than a 19th century physician. 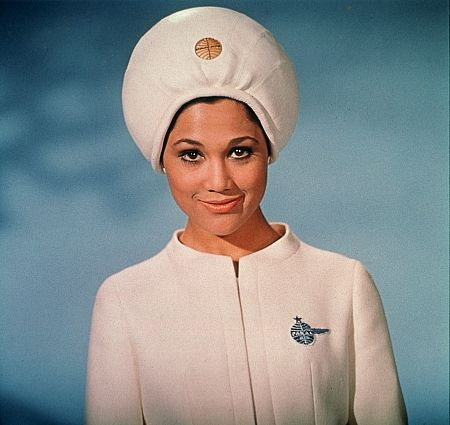 A fake smile is famously known as ‘Pan Am Smile’ – named after the air hostesses in the defunct airline’s adverts (I bet the passengers want their money back now). Some people also named a fake smile as a ‘Botox Smile’. Ladies and some gentlemen, go easy on Botox around the eyes unless you are in waiting for Pan American World Airways to offer you a job with them. FYI, Pan Am collapsed since 1991, your job offer will never come. A 2010 research has borne out Guillaume Duchenne’s thesis. Researchers studied US baseball players from 1950s. Those with genuine grins lived an average of 5 years longer that players who smiled unconvincingly, and 7 years longer than players who didn’t smile for the camera at all. So people, keep calm and carry on smiling! The importance of the eyes in indicating genuine emotions is reflected in the ’emotions’ symbols used in China. Western emotions symbols have a pair of fixed dots for eyes but change the mouth shape, like this: :- ) means ‘happy’ and :- ( means sad. By contrast, Far Eastern emotions symbols concentrate on changes in the eyes but leave the mouth the same, like this: ^_^ means ‘happy’ and -_- means ‘sad’. Next time, when you see someone smiles at you, don’t look at his/her mouth, concentrate on looking at his/her eyes. Now, you’ve learnt, a genuine smile is all about the eyes. Look out people, I’m watching you!